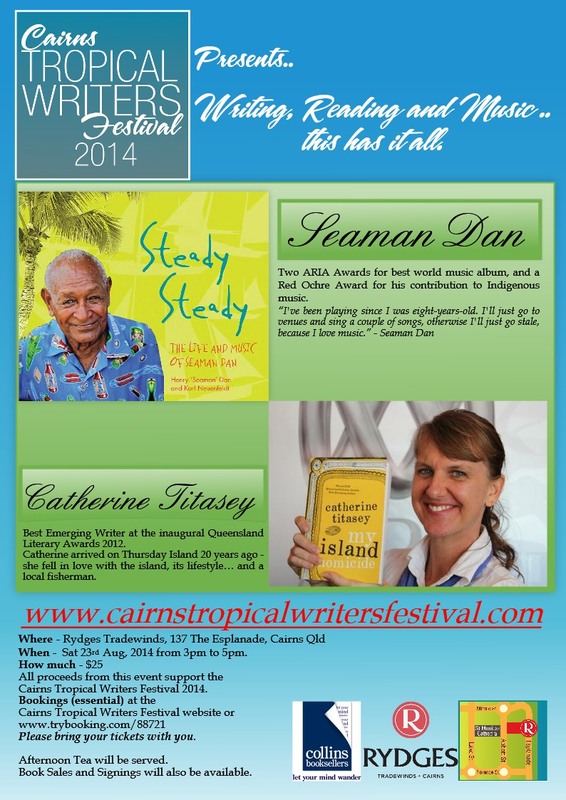 I’ve been a busy bee again – not all by myself – but as part of the Cairns Tropical Writers Festival committee. We didn’t get the grant money we applied for – but the show must go on. So we have been fundraising and our first fundraiser “Tea For Two” went really well. Authors Josephine Moon – “The Tea Chest” and Elizabeth Martin – “Tea House in the Lime Trees” delighted the audience with insights into their lives, writing habits, research and some of the serendipities along the way. So the news hot off the press on the next fundraiser. 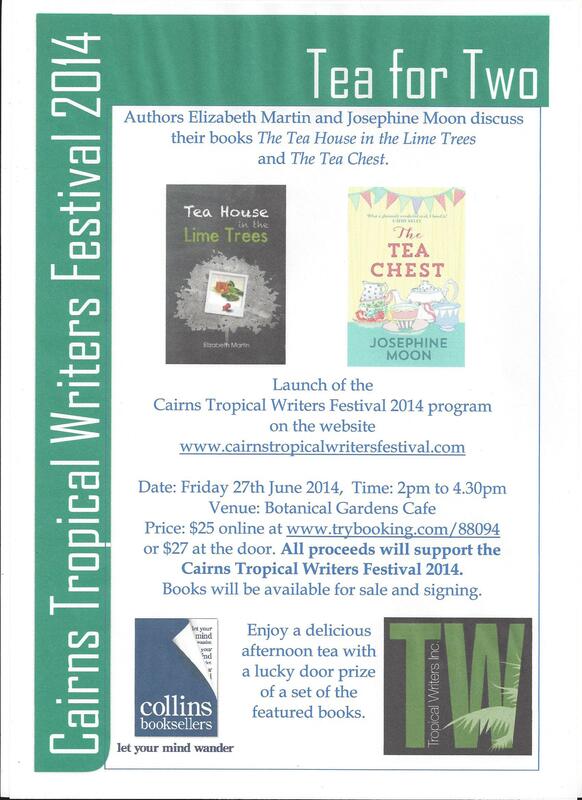 An afternoon tea celebrating Writing, Reading and Music in the tropical setting of Rydges Tradewinds Hotel in Cairns. He is joined for the afternoon by Catherine Titasey author of “My Island Homicide” – now there’s an intriguing title!